(1) By transmission of the booking form / travel registration, the traveler offers the conclusion of the binding travel contract with Jungblut Erlebnisreisen UG. This offer is based on the travel program and the additional information of Junglut Erlebnisreisen UG. (2) The booking can be made either electronically via e-mail or internet, or in written form. For bookings that are transmitted electronically, the booking will also be confirmed electronically by Jungblut Erlebnisreisen UG. An acknowledgement of receipt does not constitute acceptance of the travel order. (3) By transmitting the reservation confirmation the travel contract is effective between the traveller and the tour operator. After conclusion of contract, the tour operator will send a booking confirmation to the traveler. If a booking is made less then one week prior to departure, this confirmation can be sent exclusively by electronic means. (4) With a binding booking the traveler agrees to all contractual obligations for all particpants which were mentioned in the inquiry in the same way as for his own. All travels offered by us are insured against insolvency. The outstanding balance is due 30 days prior to departure. After receipt of payment, the customer receives the complete travel documents from the tour operator. If the customer breaches the payment agreement and does not provide deposit and / or final payment within the mentioned period, Jungblut Erlebnisreisen is entitled to withdraw from the travel contract after a reminder with deadline and to charge the cancellation costs arising (see item 8: Cancellation before departure or changes of reservation). Cancellation charges have to be paid immediately. Informations, programs and brochures on local or hotel services, which are not published by Jungblut Erlebnisreisen, are not binding for Jungblut Erlebnisreisen UG and there is no liability, unless this has been specifically agreed with the customer. Services that are agreed with the travel contract, arising from the description in the program and are binding. If there is a deviation of the services listed in the itinerary, this is communicated to the traveler before declaration of acceptance. The concluded contract is based on the newly sent program. (1)Changes of services that are included in the binding travel agreement and that are necessary only after conclusion of contract, are only permitted unless they are not significant changes which affect the entire journey. (2)If the service changes are flawed, any warranty obligations remain unaffected. (3) Jungblut Erlebnisreisen is obliged to communicate significant changes of services to the customer, after the reason of the change is known. (4) Should the previously contracted travel services change significantly, the customer is entitled to withdraw from the travel contract free of charge or, alteratively, to demand a journey of at least the same value, provided that such an offer resides in the possibilies of the travel organizer at no extra costs. These rights must be asserted to Jungblut Erlebnisreisen immediately after the tour operators notification about the changes of the travel service or cancellation of the journey. (1) It remains to the tour operator to change the travel price, if this change happens due to increased transportation costs, charges for certain services or a change in the exchange rates. Such a change is only possible if the period between the conclusion of contract and the start of the journey is more than 4 months and the changes have by then not yet occurred and could not be foreseen by the organizers. (2) Should there be a price change due to the listed items, this must be reported to the customer immediately, but no later than 21 days prior to departure. Price changes that occur after this period are ineffective. (3) If the price of the trip increases by more than 5%, the customer is entitled to a cancellation of the travel contract without additional charges. Alternatively, an at least equivalent package can be claimed, if such an offer resides in the possibilities of the travel organizer with no extra costs. These rights must be asserted to Jungblut Erlebnisreisen immediately after the tour operators notification about the changes of the travel service or cancellation of the journey. (4) Jungblut Erlebnisreisen reserves the right to make changes of individual travel services depending on availability after receipt of the booking request and during the processing phase. Jungblut Erlebnisreisen is a tour operator for individual travels. Since each trip is booked individually and flexibly, Jungblut Erlebnisreisen can not hold quotas for services. (1) The client is entitled to cancel the travel arrangement at any time. In this case cancellation fees may occur. (2) In case of withdrawal, as well as for non-commencement of the trip, the organizer loses the right to the tour price. Instead, the organizer can demand an adequate compensation for the already made travel arrangements and expenses. up to 7 days prior to departure = 100% of the total travel costs. (4) There is no requirement of the customer to change the travel program regarding date of travel, travel destination, accommodation or other services mentioned in the contract. (5) If the customer nevertheless has desires of booking changes or rebookings regarding the travel date, the travel destination, accommodation or other services listed in the contract up to 30 days prior to departure, the tour operator may charge a fee per traveler for these booking changes. (6) Rebooking requests made ​​after expiry of the period of 4 weeks prior to departure, can only be performed by canceling the travel contract up abovementioned conditions and simultaneously making a new booking, unless the arrangement is possible. When the rebooking needs only cause small costs, this does not apply. In case of no use of individual travel services that were offered to the customer properly, for reasons that are attributable to him (eg because of an early return or for other compelling reasons), he is not entitled to a pro rata refund of the travel price. Jungblut Erlebnisreisen will seek refund of saved expenses by the service provider. This does not apply if it is totally insignificant or a refund is contrary to legal or administrative regulations. The tour operator may withdraw from the contract without notice if the customer persistently disturbs despite a warning by Jungblut Erlebnisreisen, or if he violates the contract to such an extent, that the immediate cancellation of the contract is justified. If the tour operators cancels in such a case, the organizer remains the right to the travel price. Jungblut Erlebnisreisen must, however, be credited the value of the saved expenses and the benefits obtained by the organizer from any other use of unused service, including the amounts refunded by the service providers. (1) If the trip is not provided according to contract, the customer may request remedy. The customer is obliged to give notice of an occuring travel defect immediately. If the customer does not do that, a price reduction does not occur. This does not apply, when the shown notice is visibly futile or for other reasons unacceptable. A notice of defects must be reported immediately to Jungblut Erlebnisreisen. If a client wishes to cancel the travel contract on the basis of a travel deficiency as described in § 651 c BGBor § 651 e BGB or a significant reason which is apparent to Jungblut Erlebnisreisen, they are obliged to first set Jungblut Erlebnisreisen a reasonable deadline for the provision of redress. This only does not apply if redress is impossible, or is refused by the Organizer, or if immediate termination of the contract is justified by the customer’s special interest that is recognizable to the organizer. (3) If the customer does not receive the necessary travel documents within the tour operator’s provided time, he has to inform Jungblut Erlebnisreisen. (4) The customer has to prevent the occurrence of damage as much as possible and to keep damage occurred low. In particular the customer needs to report the risk of damage to Jungblut Erlebnisreisen. (ab) the extent Jungblut Erlebnisreisen is responsible for the loss or damage incurred due to the fault of a service provider. (b) The liability of Jungblut Erlebnisreisen for property damage not caused by intent or gross negligence is limited to three times the price. This maximum amount applies per customer and travel. Possible further claims in connection with luggage under the Montreal Convention remain unaffected by this limitation. (c) Jungblut Erlebnisreisen shall not be liable for disruptions, injuries and property damage in connection with services, which are only obtained as external services (eg excursions, stop-over services and other services, transportation services to and from place of departure and destination), if these services are expressly and clearly identified in the trip and the booking confirmation, indicating the mediated contract partner as external services (third party services) and that they are not part of the travel services of Jungblut Erlebnisreisen. (cb) if and insofar the violation of hazard, education or organizational obligations of Jungblut Erlebnisreisen has become the cause of a damage to the customer. (da) Jungblut Erlebnisreisen offers these activities to its customers so that they can gain experience through its own actions. We take no guarantee that the customer can also perform the offered activities wholly or partially, whether a customer can perform any of the offered activities wholly or partly depends solely on the personal physical and mental health of the client. The implementation of these activities is solely at the customer’s own risk. The Jungblut Erlebnisreisen UG recommends all customers to insure these risks of these activities individually prior to departure or on-spot. (db) The information regarding the time and duration of the offered activities are indicative only. The activities can be completed in groups with other participants. However, this does not apply if it expressly is a private activity. After booking, the customer is solely responsible for ensuring that it meets the minimum requirements for activities, such as they are named before booking in the description of the activities. A refund of the cost of the activity is excluded in the event of non-fulfillment of the minimum requirements. (dc) Many activities take place outdoors and are subject to weather conditions. When participating in an activity depending on certain weather conditions, Jungblut Erlebnisreisen informs about it in the descriptions. It may be necessary to query the weather conditions just before or on the day of attendance on site. If the activity due to the weather conditions are not feasible, they can – if possible – be rebooked on the spot. 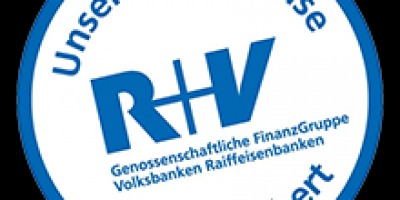 In such case, the Jungblut Erlebnisreisen UG will not pay for expenses or damages, which incurr to the customers in connection with the attempted or re-utilization of the service (eg travel costs, accommodation, accompaniment, etc.). (a) Within one month after the contractually agreed date of termination of the trip, the customer must make claims for non-conforming provision of travel claims. The assertion of this time limit can only be made against the tour operator at the address of Jungblut Erlebnisreisen UG. After this period, the customer can only lodge a claim if he’s been prevented from meeting the deadline. (b) Claims of the customer according to § § 651c to 651f BGB lapse after one year. The period begins with the day on which the journey should end according to the contract. Between the customer and Jungblut Erlebnisreisen on the claim or the circumstances giving rise thereto, the limitation period is suspended until the customer or the tour operator refuses to continue the negotiations. The limitation period shall expire no earlier than a 3 months after the end of the suspension. All eligible claims must be made within one month after the end of the booked travel services by email or post to Jungblut Erlebnisreisen. The EU regulation on informing air passengers of the identity of the operating airline obliges the tour operator to inform the clients about the identity of the operating airline about all airline services that are provided as part of the booked trip when booking. If the operating airline is not yet clear at time of booking, Jungblut Erlebnisreisen is obliged to mention the airline or airlines to the customer, which will probably operate the flight. Once Jungblut Erlebnisreisen know which airline will operate the flight, the customer must be informed. If the operating airline changes, the tour operator must inform the customer about the change. He must immediately take all reasonable steps to ensure that the customer will be informed as soon as possible about the change. (a) Jungblut Erlebnisreisen UG will inform citizens of a State of the European Community, in which the trip is offered, about the relevant passport, visa and health requirements before signing the contract as well as update the client about possible changes prior to departure. Citizens of other countries contact the relevant consulate for more information. It is assumed that there are no special features in the person of the customer and any fellow travelers (eg double nationality, statelessness). (b) Jungblut Erlebnisreisen is not liable for the punctual approval and the receipt of necessary visas by the respective diplomatic representation if the client has instructed him with the procurement, unless that Jungblut Erlebnsireisen has culpably violated its own duties. (c) The customer is responsible for obtaining and carrying the necessary travel documents, any necessary vaccinations and complying with customs and currency regulations. Disadvantages from non-compliance with such regulations, such as the payment of cancellation costs, shall be borne by the customer. This does not apply if the tour operator is responsible for not giving information, informing inadequate or misinforming the client. The contractual relationship between the customer and Jungblut Erlebnisreisen is governed by German law. This applies to the entire legal relationship. (a) The customer can sue Jungblut Erlebnisreisen only at its registered office. (b) In proceedings against the customer by the organizer, the residence where the customer lives is definite. For complaints against customers or contractors of the travel contract, the merchants, legal persons under public or private law or persons who have their domicile or habitual residence abroad or whose domicile or habitual residence at the time of action is unknown, the courts at the seat of Jungblut Erlebnisreisen is agreed as place of jurisdiction. (c.b) if and insofar applicable to the travel contract and not obligatory regulations in the EU Member State to which the customer belongs, are more favorable to the customer than the following provisions or the corresponding German provisions. (a) Personal data that are provided to the tour operator to process the travel contract, are protected under the Federal Data Protection Act against improper use. However – as a result of international legislation – airlines are obliged to grant local authorities in access to passenger data. (b) Jungblut Erlebnisreisen UG takes the protection of your personal data very seriously and adhere strictly to the rules of data protection laws. Personal data is collected and evaluated on this website only for technical purposes. In no case will the data be sold or made available to third parties for any other reason.